Intravenous sodium bicarbonate seems like a wonderful drug. It fixes acidosis, pushes potassium into cells, alkalinizes urine, and even helps with smelly feet. However, this literature review of four conditions casts some doubt into the seemingly cure-all that is bicarbonate. What is the prognostic utility of diagnosing SSPEs? What is the morbidity and mortality of SSPEs compared to more proximal PEs? Health-care associated pneumonia (HCAP) is the term used to describe patients presenting with pneumonia who may be at higher risk of multi-drug resistant (MDR) pathogens than other patients presenting from the community due to recent contact with the health care system. What are the criteria for HCAP? Acute pulmonary embolism (PE) is a common condition that can be both severe and difficult to diagnose. Half of all acute PE cases are diagnosed in the emergency department, and acute PE follows acute coronary syndrome as the second most common cause of sudden unexpected death in outpatients. Also, right ventricular dysfunction is a consequence of massive/submassive acute pulmonary embolism and correlates with a poor prognosis and high mortality rate. Although an ECG lacks both sensitivity and specificity for acute PE, there are some clues that can help in determining the size of an acute PE. Rivaroxaban for Pulmonary Embolism: One pill and done? With Dr. Jeff Tabas giving a lecture on the perennially hot topic of pulmonary embolism (PE) at the upcoming UCSF High Risk EM Conference (main link, PDF Brochure) in San Francisco May 22-24, 2013, I thought I would get a sneak peek into his discussion points. 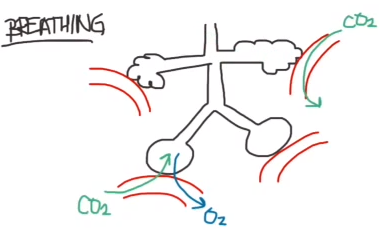 Dr. Rahul Patwari reviews the basics of respiratory physiology, the pathophysiology behind respiratory failure, and ventilator management. What do all the ventilator settings mean?